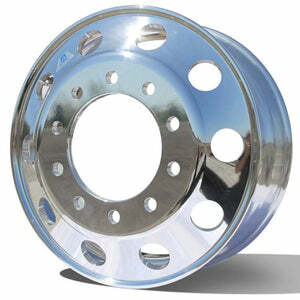 Alcoa Heavy Duty Forged Aluminum 22.5 x 8.25 Truck Wheel for Sale. 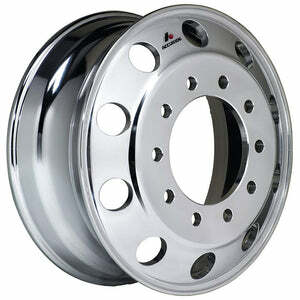 This is a 10 on 285mm Hub Pilot Polished Alloy Rim for Semi Trucks & Trailers. Decorative Outer Vent Hole Size (Hand Hole): 2.5"